While NCCF’s fiscal year ends March 31, 2017, it’s hard not to join the majority of the world that follows the traditional 12-month calendar and take stock of 2016. The Foundation achieved many milestones and experienced many changes this year. Here’s a brief summation of some of NCCF’s biggest achievements and developments over the past twelve months, presented in a convenient at-a-glance format for your quick review! The statewide Grants Committee reactivated the NCCF Disaster Relief Fund on Monday, Oct. 10, just a couple of days after Hurricane Matthew hit North Carolina over the weekend and at the outset of historic-level floods that followed for days. Record-levels of donations have been received to date: nearly $600,000, with more coming in. NCCF began allocating disaster grants to affected counties in early November and these continue. About $300,000 will be allocated from the fund before year-end, with more to be distributed from the fund in 2017. NCCF is proud that we charge no fees for disaster relief funds administration. We also encourage this among grant recipient agencies. We know it will take months, even years, to rebuild from this tragedy, which reinforces our stance to take a mid- to long-term approach to disaster grants, focusing on unmet recovery needs and initiatives. More details to come in the new year. NCCF’s headquarters move to new space also occurred the weekend of Hurricane Matthew! NCCF had outgrown our Raleigh offices on Six Forks Road, where our lease had expired and we had worked for the last decade. 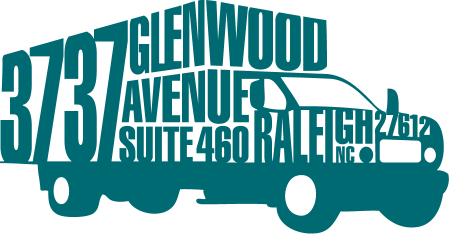 After months of searching for the right headquarters location, our statewide board’s facilities committee located just the right property at 3737 Glenwood Avenue in Raleigh. The offices in Suite 460 allow us room to grow, encourage collaboration among staff and will feature new technology to help us connect with team members who work throughout the state. We look forward to sharing our new Lewis R. Holding Philanthropy Center’s conference facilities and expanded technology with board members, fundholders and nonprofit partners across the state! Details to come! Our support of corporate grantmaking continues. We wrapped up a multi-year $10 million workforce development grant program with Duke Energy and also continue to administer the corporations’ water resources grants. 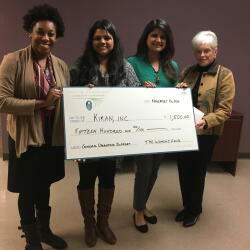 We administered the first “Ignite the Power of STEM” grants through our partnership with the Biogen Foundation. Two new team members joined the grants and scholarships team (see below). 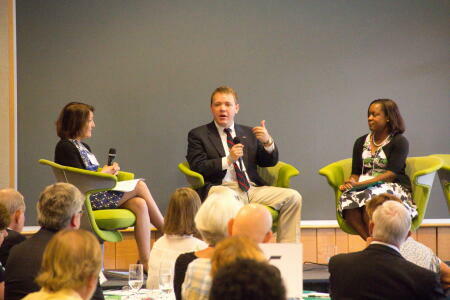 Nearly 90 affiliate leaders representing 40 affiliates from across the state participated in NCCF’s third Affiliate Forum in Raleigh this fall. Many shared stories about achieving board goals and making progress towards their individual affiliates’ Blueprints for Success. Affiliate boards inspired local philanthropy via their roles as community leaders through 60 different events and grant and award presentations. NCCF regional directors conducted 235 affiliate board meetings and reached out to nearly 375 donors. NCCF is proud to support the Women’s Fund of North Carolina, a statewide fund, as well as nine regionally based women’s giving circles. Many of these groups celebrated milestones this year. 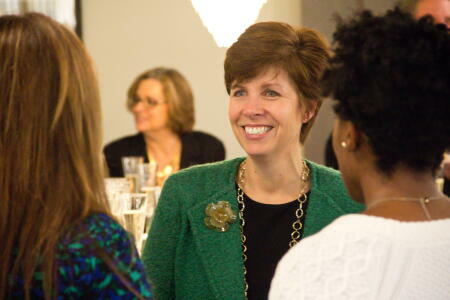 The Women’s Giving Network of Wake County celebrated a decade of granting in December. Last year the network marked $1 million in cumulative grants to the Wake County community. The Women’s Impact Network of New Hanover County and TAG (or The Art of Giving, which we co-sponsor with the Triangle Community Foundation) also celebrated milestones, with each circle granting more than $100,000 in just four years. The Women Givers of Northeast North Carolina and the Bertie-Hertford Women’s Fund both introduced junior memberships to include younger philanthropists. As of this content posting, 36 new funds have been created due to the generosity of our state’s individuals, families, corporations and nonprofit organizations. Endowments range from scholarships to honor loved ones to agency funds that sustain important programs to funds that reflect family legacies of philanthropy. The fourth annual Chairman’s Challenge, our matching gifts campaign designed to promote affiliate grantmaking, will undoubtedly exceed the $1 million milestone mark in total raised since its inception. Generous, anonymous donors help make this campaign possible every year, with affiliates receiving a proportionate match. Nearly all NCCF affiliates participated this year. Totals on the amounts raised and distributed will be available early in 2017. The Development team was involved with scores of visits, meetings and events with fundholders, prospective donors and professional advisors. We were so pleased to add new leadership to NCCF’s statewide board: Peter Bristow, Hilda Pinnix Ragland and John Willingham. Several of our long-time board members will roll off our statewide board at the end of December. We thank Brian Crutchfield, Sarah Belk Gambrell and Robert L. Jones for their years of service. Earlier in the year, Clyde Harris and Jim Parrott rotated off the board. We were saddened by the deaths of John R. Jordan Jr. and Billy T. Woodard, both of whom made invaluable contributions to NCCF. We were so excited to attract some great, new talent to the NCCF team. Marirose Steigerwald was hired as our new operations director. She assisted us this past year in hiring several new positions, including Christopher Fipps as NCCF’s grants program manager; Sybil Bowick as grants and scholarship specialist; and Quinn Novels as our regional director for the Northern Piedmont. We are currently recruiting for a regional director for the Southeast. We were so proud to celebrate a milestone anniversary of our fearless leader, NCCF CEO Jennifer Tolle Whiteside, who marked 10 years with NCCF this November. NCCF’s digital media presence continues to expand, with record numbers visiting our website and engaging with our social media channels. Access to NCCF also continues to grow via mobile devices. We helped to support NCCF’s largest, quickest funds development for disaster relief with targeted messages via multi-channels, and provided the information for prospective donors looking for effective outlets. NCCF produced our first-ever comprehensive planned giving booklet, replete with how-to’s and donor stories. Total assets topped $222 million at fiscal year-end. Cumulative grants awarded since NCCF’s inception reached $116 million. We’ve hosted about 78,600 visitors to our website so far in 2016, with our users viewing nearly 419,000 pages. We also are happy to report another unqualified audit for fiscal year 2016 from our independent auditors Cherry Bekaert LLP.